O2 and Cornerstone Telecommunications Infrastructure will be laying the foundations for citywide 5G. The heart of London’s financial district – The Square Mile – is getting free public access WiFi, a new press release from O2 states. The telecoms operator also said this was a multimillion-pound project, one of the largest investments in wireless infrastructure in London, so far. 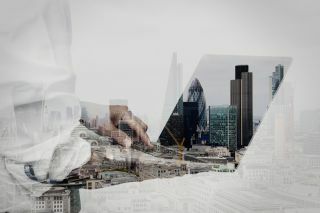 O2 will be working with Cornerstone Telecommunications Infrastructure, which was awarded a 15-year contract to build and maintain City of London’s wireless network. The network itself will be fully operational by autumn 2017, and will allegedly be ‘more technically advanced’ than those found in other global financial centres like the New York. That means users will be able to enjoy features like video calling, or video on demand. Cornerstone will build 4G mobile ‘small cells’, and nest them on lampposts and street signs, allowing mobile coverage at street level. O2 believes this will allow the City to become an early 5G adopter. 5G is expected to hit the mainstream around 2020.